The Tuscan style estate portrays pure luxury and elegance and offers spectacular views of the hills in and around the capital city. The landscaped gardens with mature olive trees and lavender bushes give an Italian flavour to the African landscape. At Castello di Monte it is easy to believe that a paradise has been found. If luxury is in the detail, then a stay at Castello di Monte is filled with pure indulgence whether you are walking the dramatic stairways made of the finest granite or feasting on the elegant art that adorns our walls you will be pressed to find a more extravagant surroundings. Be it for a corporate meeting or a romantic getaway on our Panoramic deck, Castello di Monte offers the perfect setting. 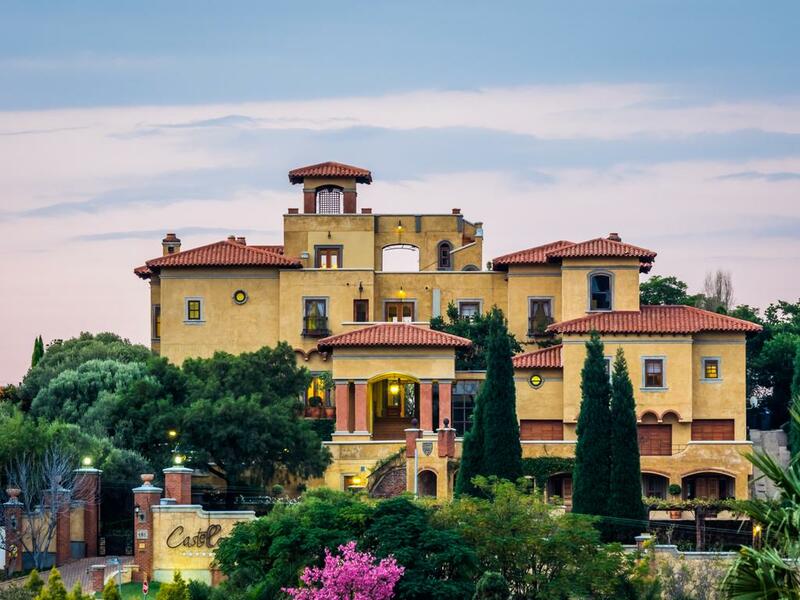 HotelSwaps is pleased to announce Castello di Monte as its newest member in Pretoria, South Africa.